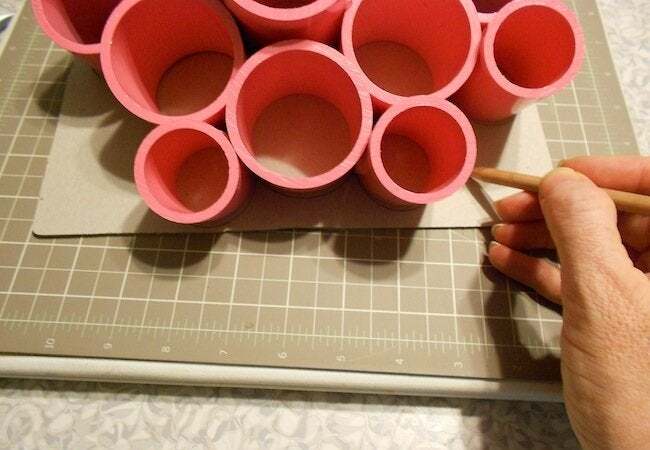 PVC pipe makes for a cheap and efficient desktop organization solution. Why buy a desktop organizer when you can make your own? 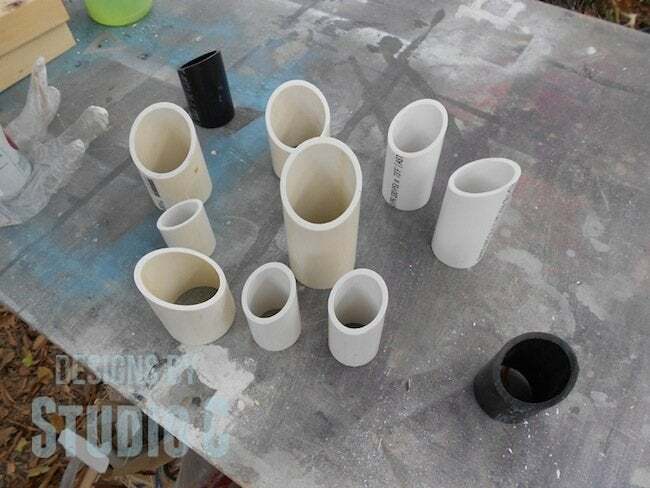 That’s what Cher, brains behind Designs by Studio C, thought when she made this incredible PVC pipe office supply holder. Taking her inspiration from an in-store version, she hacked her own for less money and only a little extra work. Well done! Take a look to see how she took a simple plastic tube and made it into so much more. 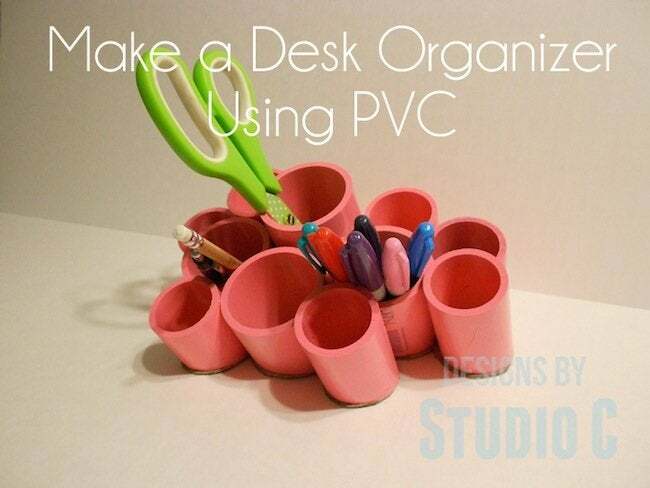 For less than $10.00 including paint, you can make desk organizing cups with PVC in whatever color you want to match your decor plus the number of cubbies are entirely up to you! 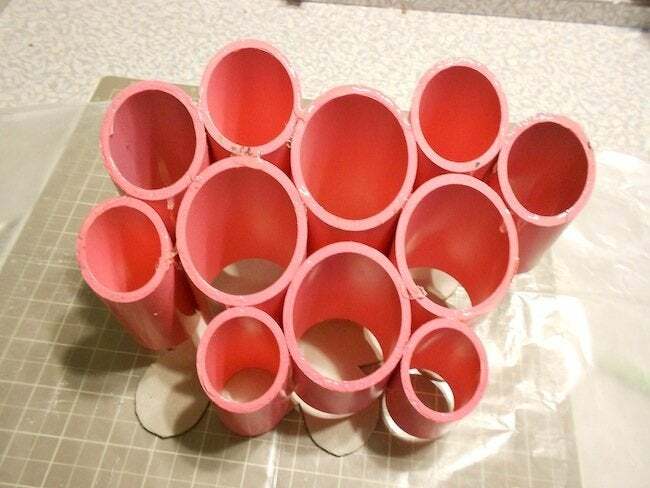 I used a miter saw (or you can use a handsaw and miter box) to cut the pipe in random lengths. I cut a 30 deg. bevel at one end of each pipe. I used spray paint (Valspar in Gloss Frosty Berry) and painted each piece separately. Once the pieces were dry, I arranged the pieces in a manner I was happy with—not an easy task—then glued the pieces together with dabs of Liquid Nails. For the bottom, I put the entire assembly on a piece of cardboard and drew around the outside of the cubbies. I cut it out with scissors, dabbed Liquid Nails on the bottom of the cubbies, and attached it to the cardboard. 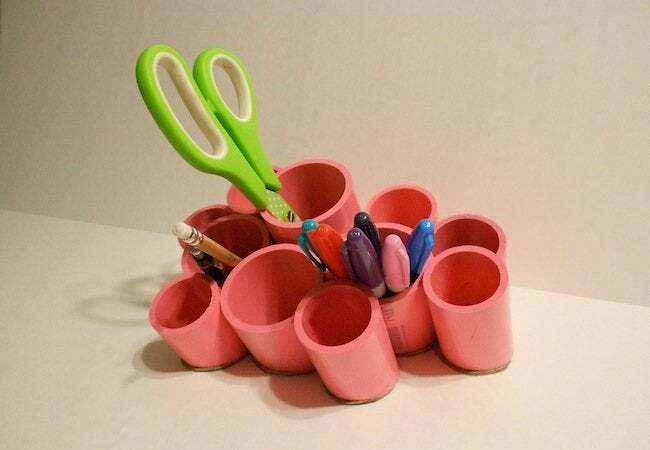 It is so easy and inexpensive to make desk organizing cups with PVC – the cups can be edged with washi tape for a sort of whimsical look or paint each pipe a different color. 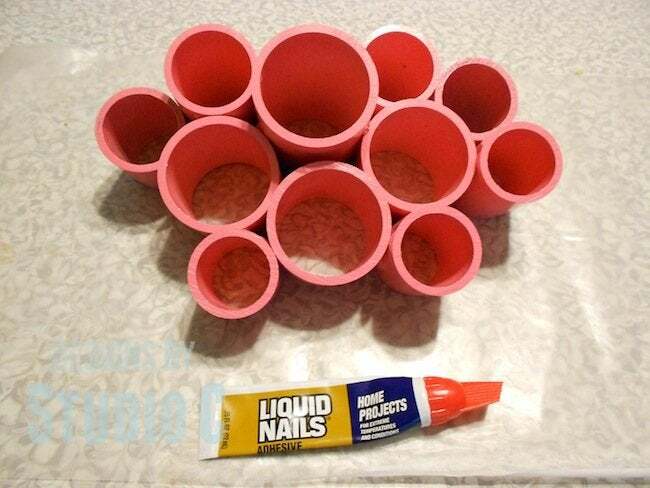 Taller pipes can be used for organizing paint brushes, as well. Thanks for sharing, Cher! To see even more ingenious DIY projects and furniture plans, check out her website, Designs by Studio C.